This Showerforce pump has been discontinued. Please see the Turboboost MK2 + 1.5 Bar Shower Pump. *Note The SF Turbo and Turbo 2 are unavailable the below button will take you to our recommended replacement product. The Turbo 2 pump will provide the necessary boost to solve your problems of poor shower performance. 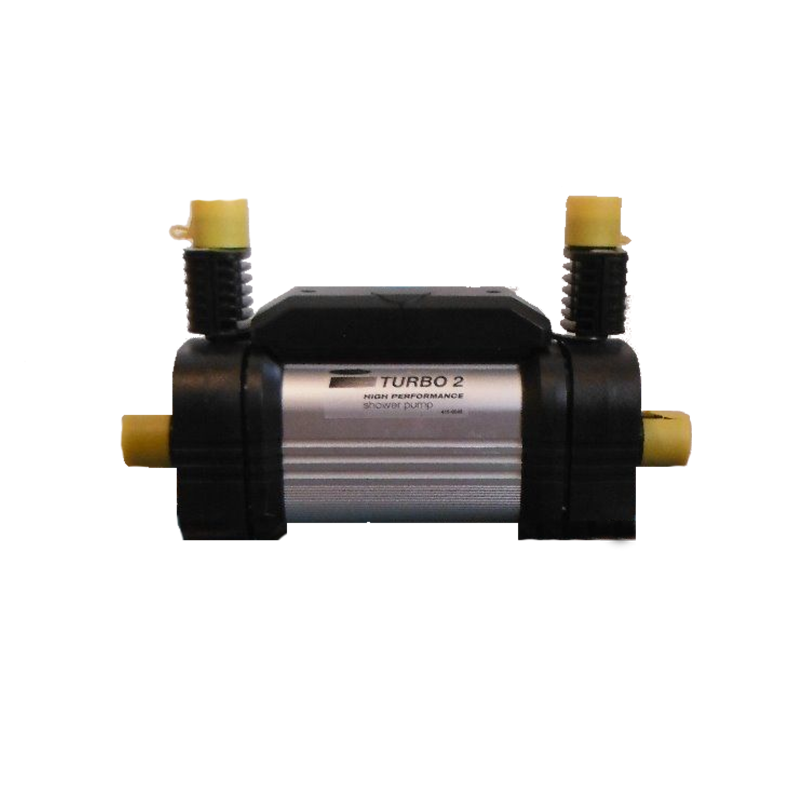 Twin impeller pump that boosts the power of a typical gravity shower by up to 20 times. Ensures perfectly balanced hot and cold water supplies enter the shower valve. Pack includes four flexible hoses for simple, quick connection and has built-in pre-wired flow switches to reduce installation time.